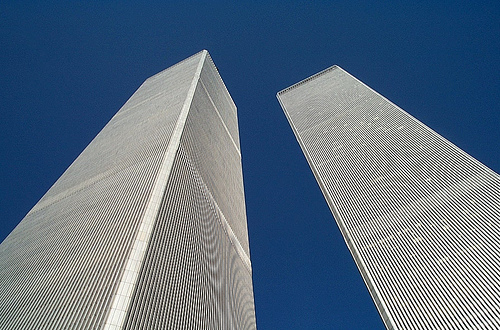 By 2001, the Twin Towers were largely empty due to their antiquated communications infrastructure. They were loathed by New Yorkers as twin eyesores, and condemned for asbestos since the mid-1990s. The Port Authority had been seeking a way to demolish the Towers for years. 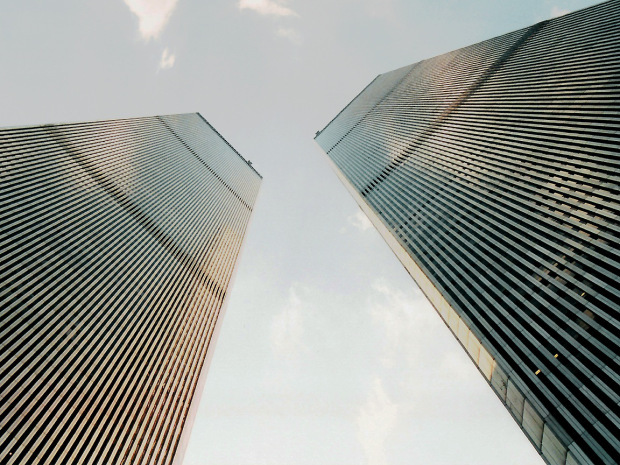 In January 2001, Larry Silverstein, via Silverstein Properties and Westfield America, made a $3.2 billion bid for the lease to the World Trade Center. Silverstein’s bid for the lease to the World Trade Center was accepted on July 24, 2001. This was the first time in the building’s 31-year history that the complex had changed management. Port Authority director Lewis Eisenberg sold the World Trade Center to the reputed organized crime figure (and confirmed close friend of Israeli Prime Minister Netanyahu), Larry Silverstein. Eisenberg and Silverstein are both Zionist extremists. In 2001, they were two of the biggest money-men for the Republican Party. Silverstein put up $14 million of his own money to secure the deal. The agreement gave Silverstein, as leaseholder, the right and the obligation to rebuild the structures if destroyed. Why would Larry Silverstein buy the World Trade Center in July, 2001? Why would he want to own worthless buildings that were condemned for asbestos and losing enormous amounts of money? 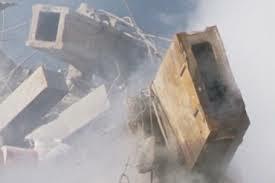 At least that interpretation appears to be supported by a statement by a Ground Zero worker in the a documentary: … we’re getting ready to pull the building six. An alternative interpretation of Silverstein’s statement is that “pull it” refers to withdrawing firefighters from the building. However, according to FEMA’s report there were no manual firefighting operations in Building 7, so there would not have been any firefighters to “pull” — at least not from inside the building. WTC 7 collapsed approximately 7 hours after the collapse of WTC 1. Preliminary indications were that, due to lack of water, no manual firefighting actions were taken by FDNY. That Silverstein would admit that officials intentionally demolished Building 7 is bizarre for a number of reasons. 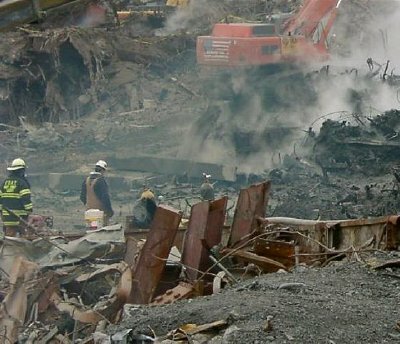 Silverstein Properties Inc. had already won an $861 million claim for the loss of the building in a terrorist incident. 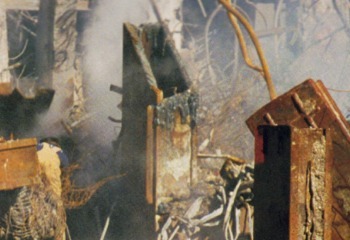 FEMA’s report states that the cause of the building’s collapse was fires. Silverstein has also said in interviews that everyday he spent his mornings in breakfast meetings at Windows on the World on top of the World Trade Center North Tower. However, the morning of September 11, 2001, he did not have breakfast in the tower. After the September 11 attacks, the United States Congress approved $8 billion in tax-exempt Liberty Bonds to fund development in the private sector at lower-than-market interest rates. $3.4 billion remained unallocated in March 2006 designated for Lower Manhattan, with about half of the funds under the control of Mayor Michael Bloomberg and the other half under the control of former Governor George Pataki. In April 2006, after several months of negotiation aimed toward permitting reconstruction to commence, Silverstein yielded some of his rights back to the Port Authority, in order to facilitate rebuilding at the site. Those negotiations resulted in Silverstein ceding his rights to building One (and its pro-rata share of the above-noted Liberty Bond funds) to the Port Authority, and allocating a portion of the insurance proceeds to the rebuilding of building One in favor of the Port Authority. In return, the remaining pro-rata shares of the Liberty Bond funds were allocated to Silverstein Properties for purposes of rebuilding the remaining buildings, and government agencies are expected to be among the tenants in those buildings. Ground was broken on the construction of One World Trade Center on April 27, 2006. Lack of financing had prevented construction from commencing earlier. The proceeds of the insurance policies arising from the destruction of the previous buildings were insufficient to cover the cost of rebuilding all the insured buildings. In March 2007, Silverstein appeared at a rally of construction workers and public officials outside of an insurance industry conference to highlight what he describes as the failures of insurers Allianz & Royal and Sun Alliance to pay $800 million in claims related to the attacks. Silverstein is also a governor of The Real Estate Board of New York. Next We’ve got two isolated pockets of fire. We should be able to knock it down with two lines.